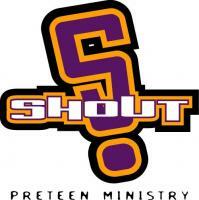 The SHOUT ministry is a youth group for students in grades 5 and 6. In SHOUT our mission is to help this age group come to an understanding of what it is to have their own walk with God. We do this through small groups, service projects and activities that reinforce biblical principles. SHOUT will meet each Wednesday after school from 4:00 - 5:30 p.m. For more information, contact Connie MacDonald.